The core idea is simple. If the conditions are right for ice to form, spray salt water. Using salt water is a cheap and safe way of clearing and preventing ice as it simply drops the temperature at which water freezes. The end result is that the ice won’t form until it gets down to 10F (-12C) or so. Not a perfect solution, but it can definitely help. Of course, you don’t want to spray people with salt water as they pass by, so there’s a bit more to it than that. Using the venerable DHT22 sensor the team can get the current temperature and humidity, which allows them to determine when it’s time to start spraying. But to prevent any wet and angry pedestrians, a HC-SR501 PIR motion sensor is used. If the system sees motion it will stop for a while to let the activity quiet down. Monitoring the sensors and controlling the pump is done by a daemon written in C++, which also logs data to an SQL database, which in turn feeds their PHP web interface. 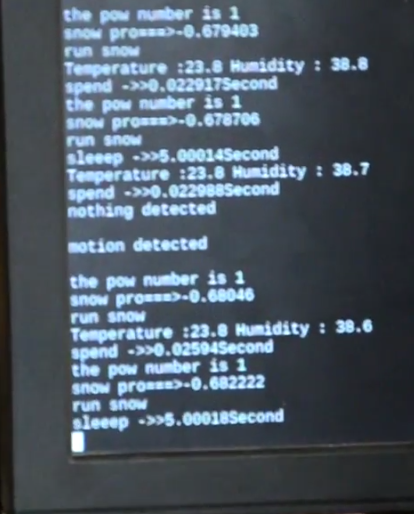 In the video after the break, [Revanth] demonstrates how the system is constantly making decisions based on the input of the various sensors. Environmental data and motion is analysed every few seconds to provide a real-time solution. We’ve covered a few projects aimed at melting ice and snow by heating concrete, but it’s interesting to see a “smart” approach to this common winter annoyance. [Michael] was playing with his ESP8266. Occasionally he would notice a WiFi access point come up with, what he described as, “a nasty name”. Perhaps curious about the kind of person who would have this sort of access point, or furious about the tarnishing of his formerly pure airspace, he decided to see if he could locate the router in question. Sure enough, the person with the questionable WiFi access point shows up on the map. Apparently Verizon customers are expected to pay for a second data plan if they want to be allowed to use a cellphone as a mobile hotspot. This means one data plan for the phone, and a second for the tethering. [DroidBionicRoot] thinks this is a little silly since there is already a data cap on the phone’s plan. But he’s found a way around it if you don’t mind rooting the phone to enable free tethering. Not surprisingly it’s a very simple alteration. The phone is already capable of tethering, to enable the feature without Verizon’s permission just edit one database value. 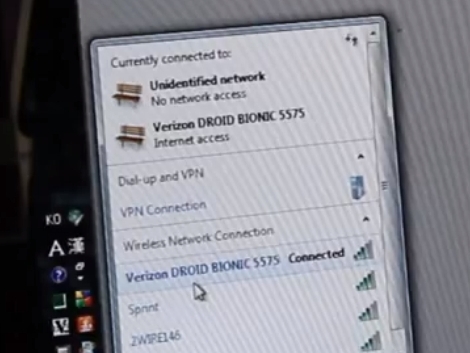 In the video after the break, [DroidBionicRoot] starts the process with a rooted Droid Bionic handset. He purchases an app for $2.99 which allows him to edit SQL databases on the handset. From there he navigates to the ‘Settings Storage’ database and changes the ‘entitlement_check’ key value to 0. Reboot the phone and tethering is now unlocked. Whenever someone manages to expose vulnerabilities in everyday devices, we love to root for them. 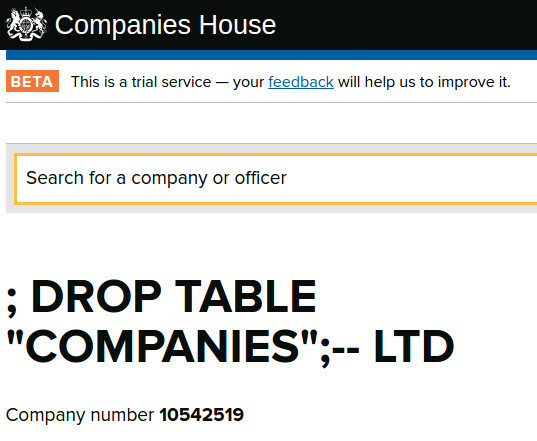 [Adrian] over at Irongeek has been inspired to exploit barcodes as a means to attack a POS database. Based on an idea from a Pauldotcom episode, he set out to make a rapid attack device, using an LED to spoof the signals that would be received by scanning a barcode. By exposing the POS to a set of generic database attacks, including XSS, SQL Injection, and other errors easily solved by input sanitation, he has created the first version of an automated system penetration device. In this case the hardware is simple, but the concept is impressive. With the hardware explained and the source code provided, as well as a basic un-sanitized input cheat sheet, the would-be barcode hackers have a great place to start if they feel compelled to provide a revision two.